Are you looking for a commercial roof coating? 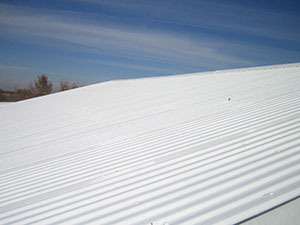 ACR Commercial Roofing provides a variety of roof restoration services to clients in Lubbock, TX. One of our roof coatings will have your commercial roof lasting years longer and can wind up saving you a significant amount of money. Give us a call today at 806-669-7777 to get a free project estimate. The roofing technicians at ACR Commercial Roofing are truly first class. With decades of experience in the industry and proper professional training, our roofers are ready to help with any service that your roof may require. We specialize in roof restoration, so you can count on us to apply a new roof coating flawlessly. A roof coating can be a quick-fix to any type of commercial roof that has been experiencing issues. This includes leaks, membrane deterioration, and more. A roof coating is just a thin, seamless membrane that fully protects your roof. The service itself is quite affordable, especially when you compare it to the price of a roof replacement. Without a roof coating, a costly roof replacement might be your only option. 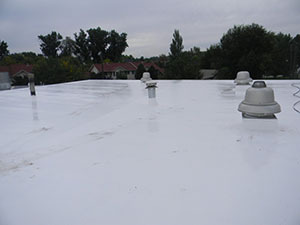 ACR Commercial Roofing has years of experience installing roof coatings. One of our roof coatings can extend the lifespan of your commercial roof for over a decade. One of the lesser known benefits of a roof coating is the fact that it improves the energy-efficiency of your building. The reflectivity of the membrane can chop down over 30% of your building’s energy costs. Roof coatings work on all types of commercial roofing systems. This service will help get the most out of your current roof. Many people get their roof replaced prematurely when their roof could actually last quite a while longer with a roof coating. To find out more about ACR Commercial Roofing, feel free to give us a call today at 806-669-7777. If you’re interested in getting a free project estimate on a commercial roof coating, we’re the company for you. We help the people of Lubbock, TX with all types of commercial roofing services. ACR Commercial Roofing is a quality-driven company that always goes the extra mile for our local Texan clients.